Based in Singapore, Tokio Marine Asia (TM Asia) is an established regional headquarters and intermediate holding company, located at the Tokio Marine Centre in Singapore. Our organisation oversees 8 P&C Insurance companies and 5 Life Insurance companies in 8 countries, which employs over 5,000 people across the region. TM Asia, is a sister company of Tokio Marine & Nichido Fire Insurance Co. Ltd, with 100% shareholding by Tokio Marine Holdings. TM Asia also holds the shares of its regional companies which are widely represented in Asia with operations in Singapore, Malaysia, Thailand, Hong Kong, Indonesia, Australia, Philippines, Vietnam and India. 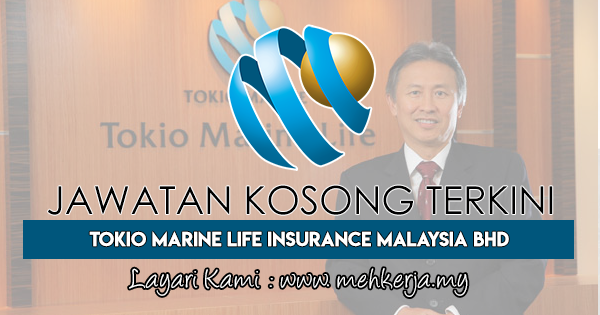 0 Response to "Jawatan Kosong Terkini di Tokio Marine Life Insurance Malaysia Bhd - 5 Nov 2018"